Ghanaian owned oil Marketing Company, GOIL, has rejected assertions that its decision to maintain prices of petroleum products for the second pricing window in January is a deliberate attempt to distort pricing in the petroleum downstream sector. According to some industry observers, the move defeats the primary purpose of the downstream petroleum price deregulation regime. But the Chief Operating Officer of Goil’s Bulk Distribution Company; Go Energy, Gyamfi Amankwaa explains to Citi Business News the reports are false. “People think government is subsidizing Goil but that is not true; rather it is government which owes Goil,” he explained. Prices of petroleum products went up between 4 and 10 percent for the second pricing window in January. This measures against a similar increase in the first pricing window where prices increased between 8 and 11 percent. At the time, Goil increased its prices for a litre of petrol to 4 cedis 8 pesewas while diesel also went up to 3 cedis 99 pesewas. But Mr. Amankwaa further explained that the pricing is largely based on market decisions and available supply at any point in time. 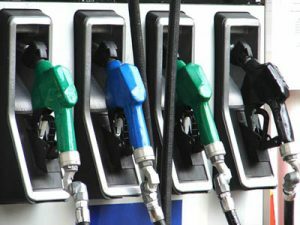 Meanwhile the BDC boss has given indication the prices of the petroleum products will be adjusted if the conditions make it necessary.